Throughout her teaching career, Cameron Kay Sutton has broadened her students’ understanding of the environment by incorporating PLT’s hands-on activities into her curriculum. 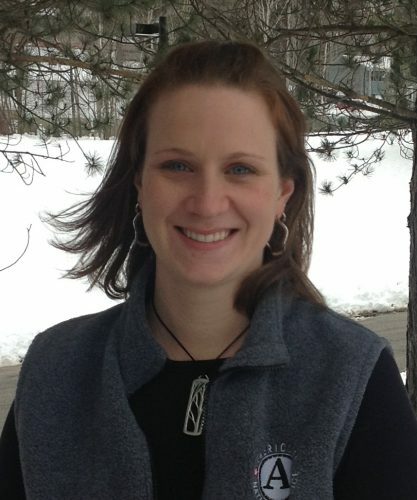 Her love of environmental science and understanding of best practices in teaching have led Cameron to create K-6 science curriculum units that are aligned to Maine education standards and full of active, engaging outdoor learning. In addition, Cameron’s programs for gifted and talented high school students in science and math include studies of Maine’s energy, water conservation, and forest management and have inspired many students to pursue environmental or math and science careers. She also coached a local high school team that won the International Envirothon Competition’s regional championship in 2008. A PLT workshop facilitator since 2002, Cameron coordinates numerous trainings for school district staff and faculty to show them the many ways they can incorporate environmental education activities and learning in the outdoors into their science, math, and language arts curricula. An upcoming training for an EPA New England regional grant will include modifications for special education and diverse students. Cameron has served on the boards of the Maine Environmental Education Association and the Maine PLT Steering Committee to enrich and expand statewide programs, including planning and presenting at conferences. Cameron was named National PLT Outstanding Educator in 2013. Cheri Goggin is a science teacher at Berkshire Junior/Senior High School in Burton, Ohio. She uses GreenSchools Investigations to make learning fun for her students. Deborah Todd, a fifth grade language arts and science teacher at Slate Hill Elementary School in Worthington, Ohio, also serves on the Ohio PLT Board. Pam Wilson is a K-8 substitute teacher and facilitator with the Oregon Natural Resources Program in Corvallis who introduces PLT to pre-service teachers.